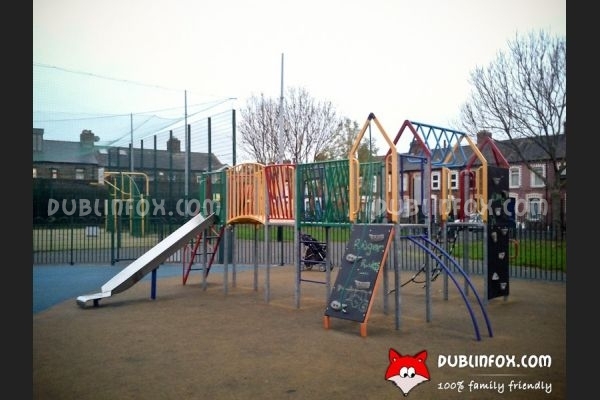 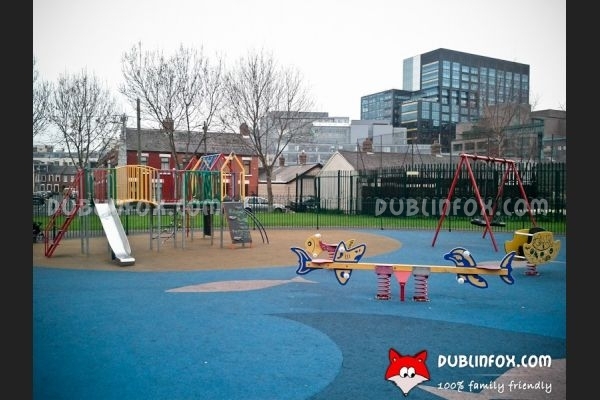 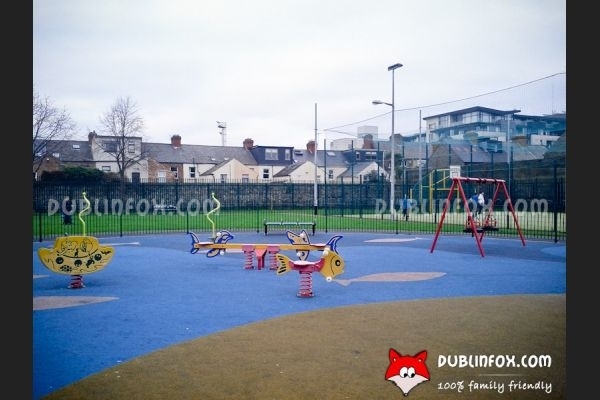 South Dock Street playground in the middle of Irishtown / Ringsend is a typical urban playground to keep kids occupied even if they are surrounded by more concrete than green. 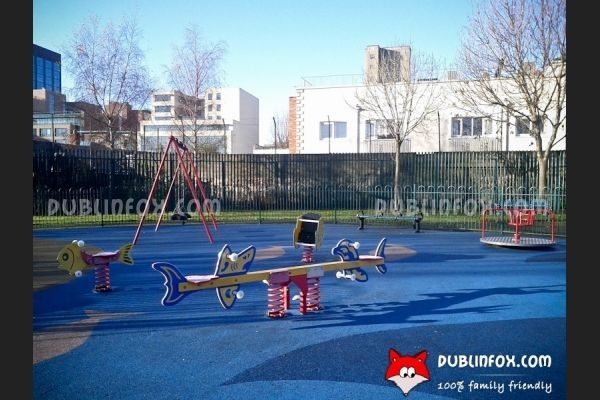 Although there is a small grassy area around the playground, I have never seen anyone to picnic, play ball games or frisbee there, it is usually used by dogs and their owners instead. 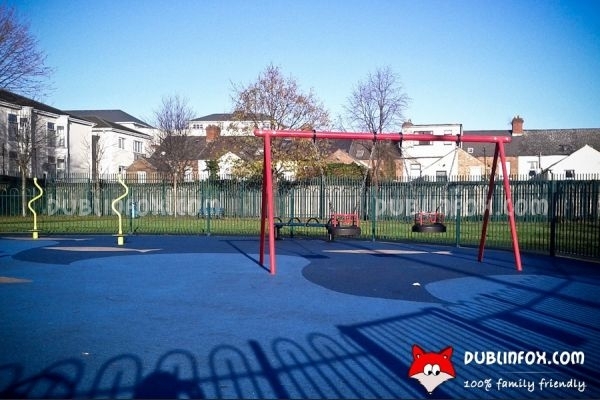 The playground itself is a decent one: there are two baby swings and two other swings, two springers, a see-saw, two spinners, a roundabout swing and a slide unit with monkey bars that is more suitable for kids above 3, than for toddlers. 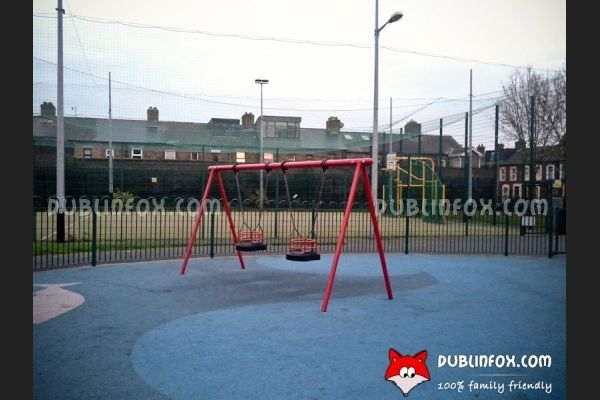 Next to the fenced playground there is a football pitch / basketball court that is usually occupied by local teenagers.